Right now Amazon.com is selling the 8gb microSD card that works with the Nokia E71 for only $22.30. Helluva a deal considering your getting so much space to load up all your media, just like you would an 8gb iPhone. I have this memory card in use for both my E71 and N82 and I gotta say it's really worth it. The prices at Amazon shift often so the link below might show a slightly different price, but I'm sure it won't be too far off. 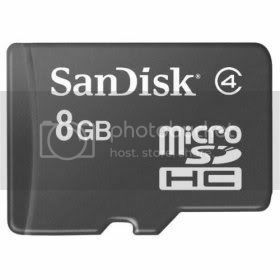 Click here to get the 8gb microSD for the E71 for only $22.30. And here is the rest of it.